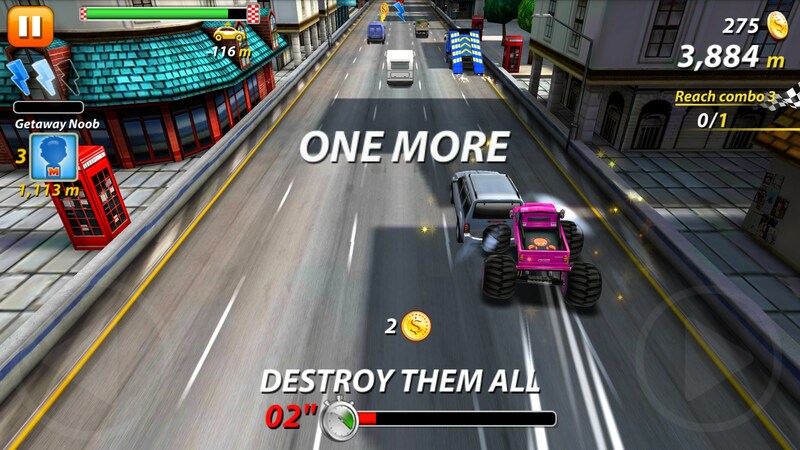 On The Run™ – Games for Android 2018 – Free download. 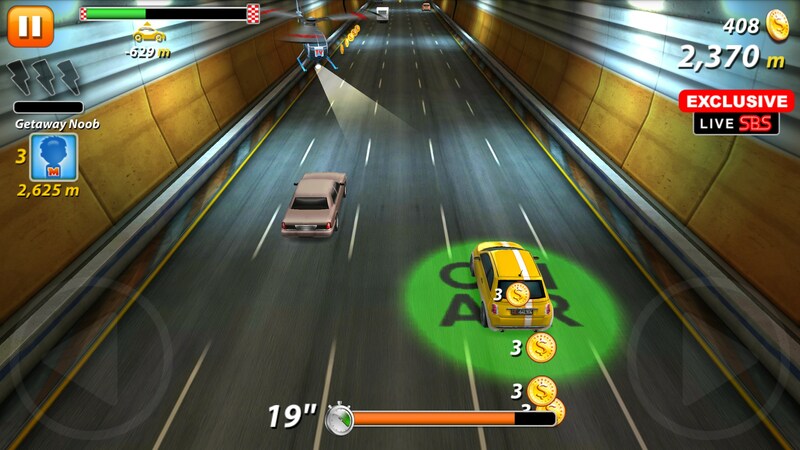 On The Run™ – A traffic racer done right. 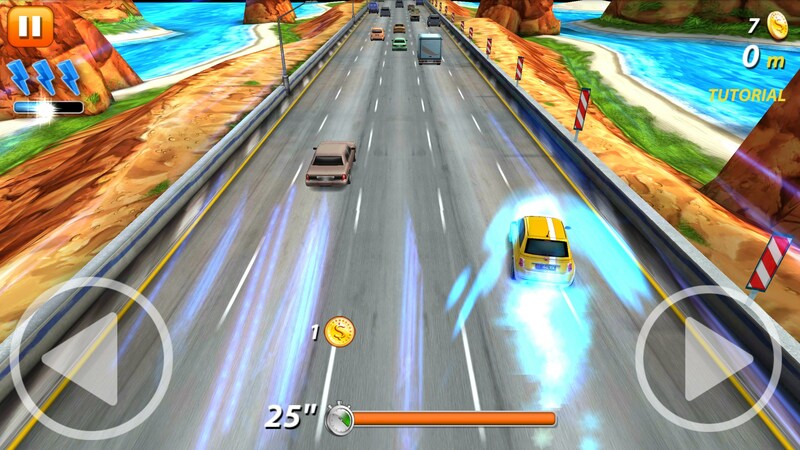 On the Run for Android is a traffic racer that’s actually fun to play. The controls are decent, the upgrade paths are all there, and the environments change frequently. This makes the game not only replayable but fun, too. 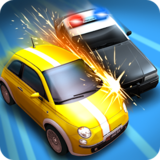 So here you’re basically on the run from the cops, hence the name, and you'll need to ditch them in order to really play the game. This is super easy to do right in the beginning. 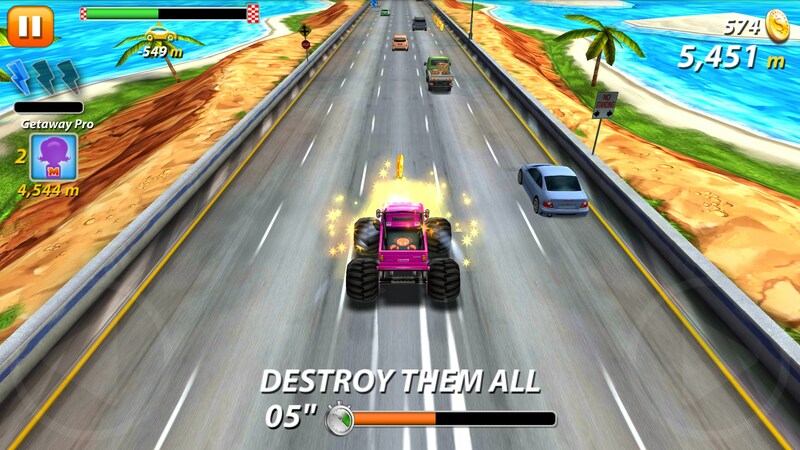 You’ll be chased by a few and all you’ll need to do is crash into them. That’s literally about it. 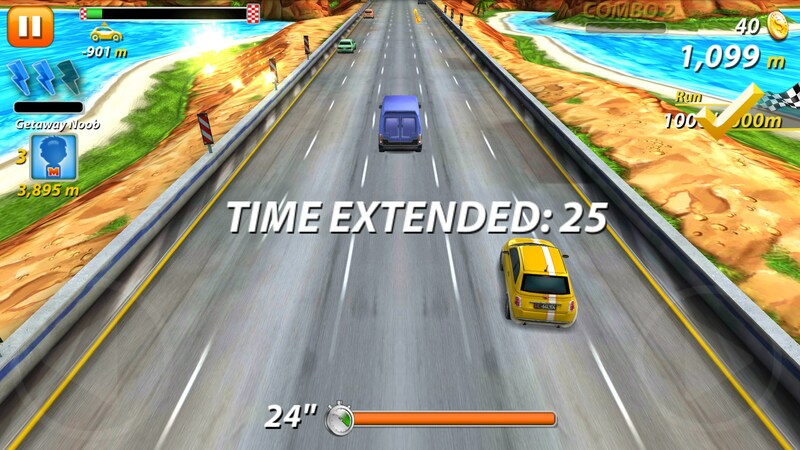 From then on you’ll crash into cars, hit speed boosts, and make sure you hit every checkpoint before time runs out. The last part is crucial. In fact, I never really paid much attention to the cops in this game. It’s mostly about upgrading your car to get as far as you can go. 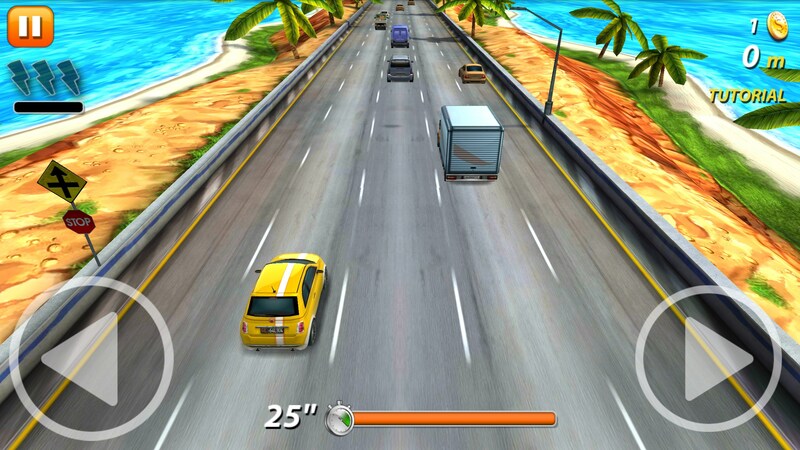 Coins are picked up while you race down the highway, and you can earn extra stuff by driving in the spotlight of helicopters and crashing other vehicles. The traffic in the game is pretty light. 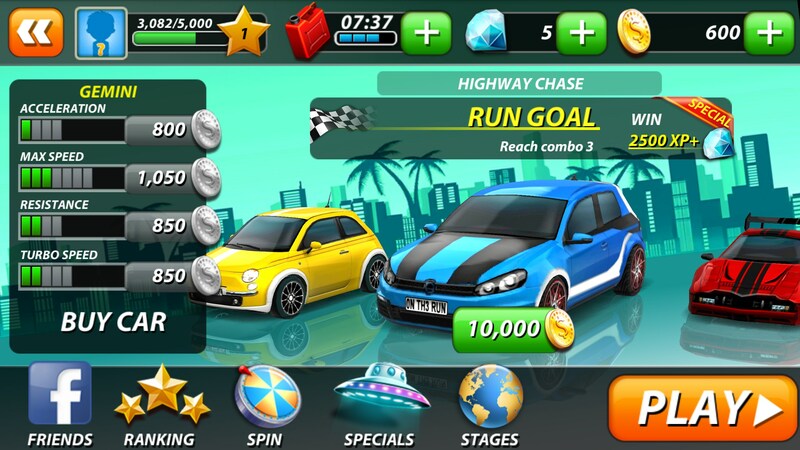 You’ll spend most of the time just collecting coins so you can upgrade your car in order to get further and further into the game. I really enjoyed just about everything the game had to offer, but the controls could be a little finicky at times. If you hold down one of the turn buttons for any amount of time then you’ll likely turn too sharp, and it’s impossible to judge which lane you’ll end up in. Also, unlocking new cars and other things was a complete grind. I guess that’s to be expected from a game like this. On The Run is a really great traffic racer that is every bit worth your time. 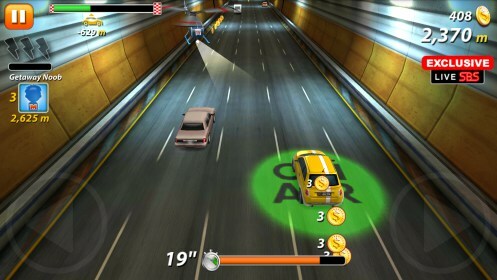 The gameplay is fast-paced, fun, and hectic. 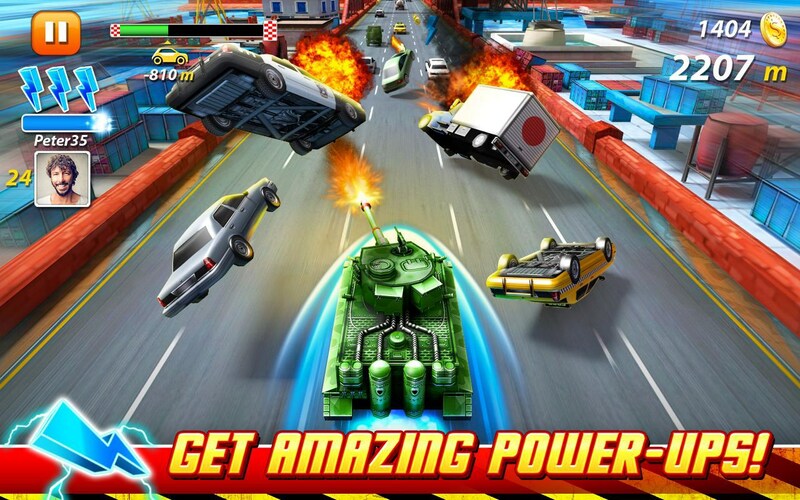 The controls are mostly good, and there is plenty of game to be had.